Lewisville, Texas (October 26, 2017) - Fairview Microwave Inc., a supplier of on-demand microwave and RF components, has launched a new line of low-PIM, plenum-rated SPP-250-LLPL cable assemblies for use in wireless infrastructure. Typical applications include multi-carrier communication systems, indoor wireless systems, distributed antenna systems (DAS) and PIM testing. Fairview's 36 new low-PIM jumper cables feature a maximum PIM level of -155 dBc and are made with UL910 plenum-rated SPP-250-LLPL cable. The PIM levels of each cable have been fully tested with the results of those tests marked on each cable. They boast a maximum operating frequency of 6 GHz and a maximum VSWR of 1.25:1 up to 2 GHz and 1.35:1 up to 6 GHz. These cables are lightweight, flexible and have an operating temperature range of -55°C to +125°C. They are available with 4.3-10, 7/16 DIN, N and 4.1-9.5 mini-DIN connector combinations, including right-angle connectors. "These new low-PIM cables are hitting the market just in time for the release of the next generation of wireless systems. Customers are going to need more flexible options for low-PIM interconnects and with 36 connector and length variants available off-the-shelf, we’ll be able to fulfill those needs quickly," said Dan Birch, Product Manager. Fairview’s new low-PIM, plenum-rated SPP-250-LLPL cable assemblies are in stock and ready for immediate shipment with no minimum order quantity. 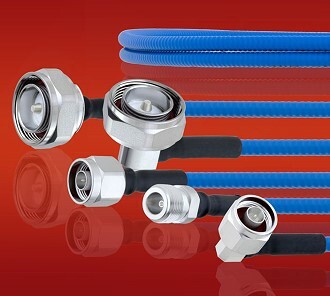 For detailed information on these products, please visit https://www.fairviewmicrowave.com/rf-products/low-pim-cable-assemblies-using-spp-250-llpl-plenum-cable.html.